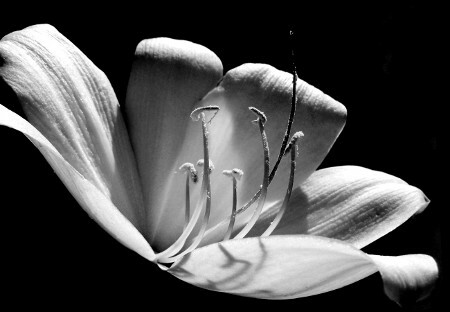 Why are Lilies the Flower of Easter? Lilies have long been associated with the with the Easter holiday, with the white lily in particular seen as a symbol of the resurrection of Jesus Christ. It is extremely common to see churches decorated with eye-catching displays of freshly blooming lilies when holding their Easter services. The lily is also often depicted in stained glass window scenes where it is used to signify rememberance, hope, purity and everlasting life. The tradition of using white lilies as a symbol of Easter has a long and rich history. Ancient paintings show the Angel Gabriel proferring white lilies to Mary whilst telling her that she would give birth to Jesus. Another well-known Biblical reference to this flower is evident when Jesus is performing the Sermon on the Mount and asks the crowd to consider the lilies of the field. It is also thought that lilies bloomed in the Garden of Gethsemane after Jesus prayed there during the last hours of his life on Earth. According to legend, lilies also sprang up at Mary's tomb as well. The white petals were said to symbolise her body whilst the golden anthers in the centre of the flower were symbolic of her soul. With its connotations of hope, renewal and ever-lasting life, the lily is not only the perfect floral representation of Easter but also of the springtime season. Sending a bouquet of fresh lilies to a loved one this Easter would make for a lovely gesture, or you could also decorate your own home with white lilies in celebration of this special holiday. If you've been invited for an Easter dinner at a relatives home why not bring them white lilies as a traditional gift?